Bringing great ideas to screen in the new media landscape can take more than talent. Commercial understanding, market know-how and flexibility of approach are increasingly important for storytellers and organisations looking to realise their vision and connect with the market. Whether its unlocking finance, securing distribution or forging a career path, I help storytellers and filmmakers achieve their goals. Through focused consultancy sessions or longer-term mentoring, I work with teams and individuals to optimise projects creatively and design commercial strategies that deliver meaningful results. I help media companies grow sales and revenue, whether through content acquisition, business development or commercial strategy. Past clients include Viceland, Arrow Films and Usheru. I also provide strategy, consultancy and facilitation services to public and member organisations including British Council, Film London, FERA, BFI. I lead training workshops, deliver lectures, keynotes and chair discussions on film innovation, distribution, exhibition and storytelling. For more information about how I can help your project, please get in touch using the Contact Form below. 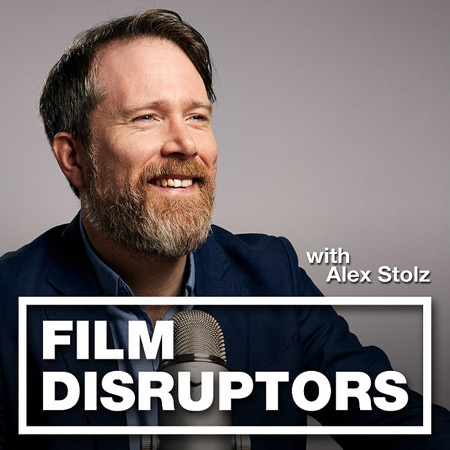 Alex is a senior executive, strategist and broadcaster with high-level experience across Film, TV and Digital over 18 years in film, TV and tech. As Head of Distribution at the BFI, he supported the release of over 300 films in the UK and internationally. He is Consultant to Film London’s micro-budget filmmaking scheme Microwave and Producer of the Film Disruptors podcast, on innovation in Film, TV and VR. His wide ranging media experience includes senior roles at Picturehouse and the UK Film Council as well as consultancy with Viceland, British Council, usheru and more. Current production projects include Project Hackathon, a new brand funded factual entertainment property based on the global hackathon movement.